Send good tidings to friends or family this holiday season with a funny Christmas card that's sure to make them smile. 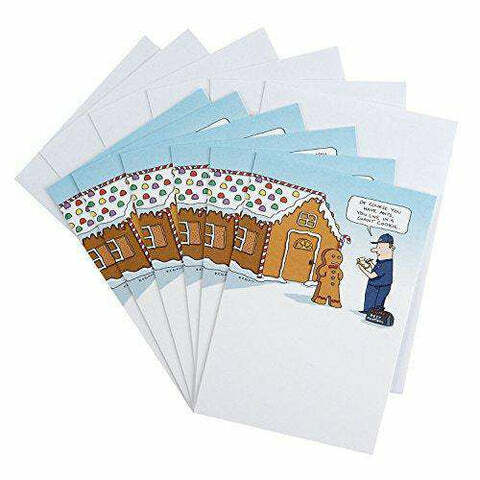 This pack of Christmas cards includes six cards of a single design featuring a hilarious cartoon of a gingerbread man with an ant problem. Inside reads: "Hope your holidays are sweet." 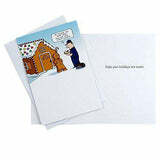 Humorous holiday cards are a fun way to hold gift cards or cash or just reach out with a merry Christmas wish. Holiday card measures 5" x 7.2" and comes with a coordinating envelope. Printed on high quality paper stock, Hallmark greeting cards are made with paper from well-managed forests. 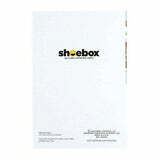 Shoebox greetings are the perfect way to make someone laugh out loud. These edgy; irreverent takes on life are surprising; hilarious; often inappropriate and always timely.